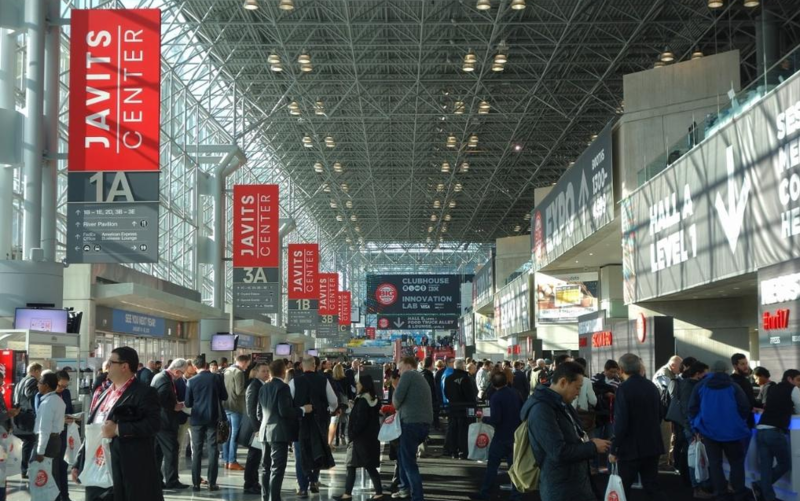 This week I, and Stibo Systems colleagues, attended NRF 2019: Retail’s Big Show in New York, where we listened to amazing sessions and spoke with various retailers – both domestic and international. These are my take-aways from one of the most significant retail events in the world. Let me start by highlighting the one NRF topic that seemed to bind all the others together: data! Data and data management were hot topics and at the forefront of the business driven conversation. It seems there is now a better understanding of the need for high-quality data and good data management as the foundation for business success. It’s simple actually: You can’t create a 360° view of your customer without proper data, and you can’t personalize your offerings without that view. You can’t offer friction-free, omnichannel shopping experiences without a smooth data setup, and you can’t protect your data if you can’t even manage it. You can’t connect your digital and physical offerings if your data is kept in silos and data supply chains are disconnected. You can’t bring new products to market faster than the competition if poor data is slowing down your processes. You can’t succeed with Artificial Intelligence (AI) or enable automation if the underlying master data foundation is not solid enough. And finally, you can’t digitally transform and innovate your business without trust in your data. What was the enabler of this successful transformation? A solid master data management solution. Stibo Systems’ Master Data Management solution to be more specific. Others have come to the same realization. IT Director Tim Nelson, Office Depot, stated that “data has been the linchpin of our ongoing business transformation”. But still, it is estimated that three quarters of companies are not able to act on most of the data they collect due to disjointed systems and data integration issues, leading me to my next headline. Let me just say; retail is not a dying industry. Despite all the talk about a retail apocalypse, the industry is in full bloom. In fact, it was stated several times during NRF that 2018 was a good year for retail: the industry is growing faster than US GDP (Gross Domestic Product) and 25% of American jobs are currently in retail. But, it is also clear that retailers constantly need to evolve and reinvent themselves to continue to survive – and hopefully even grow. Retailers that keep doing what they’ve always done and what used to work just a few years ago, simply won’t make it. As Retail Analyst and NBK Founder Natalie Berg put it: "Amazon isn't killing retail, they're killing mediocre retail". And it’s not only Amazon and other retail giants that are a potential threat. New, innovative and highly agile retailers are entering the market every single day. During NRF, entrepreneur, marketing guru and professor Scott Galloway asked - and answered - whether retailers should be scared right now? Yes, they should! Defining what a non-mediocre retail experience looks like and how to attain it, took up a lot of talking time, sessions and attendees at this year’s big show. And at the center of this is the customer. Personalization: Consumers are looking to do business with retailers that know their needs and shopping habits and respond to them, anywhere and anytime they prefer to. Engagement: Consumers are looking for experiences beyond just simple interaction. They want to be surprised and delighted. Convenience: Consumers do not want to experience any friction or inconsistencies. Selection: Consumers want access to the newest products as quickly as possible, and they want to be able to buy everything they need in on place. Values: More and more consumers are looking to companies’ ethics to decide whether they want to do business with them. Protection: Consumers value data privacy very highly and, particularly younger generations, now see their data as a valuable currency. One surprising take-away is that most retail purchases are still done in-store. Target CEO, Brian Cornell, for example shared how 3 out of 4 of Target's digital sales were fulfilled in a store. In fact, only 11% of global retail sales were made online in 2018. This means that brick-and-mortar stores are not becoming a thing of the past and that they have a crucial part to play in the customer journey. 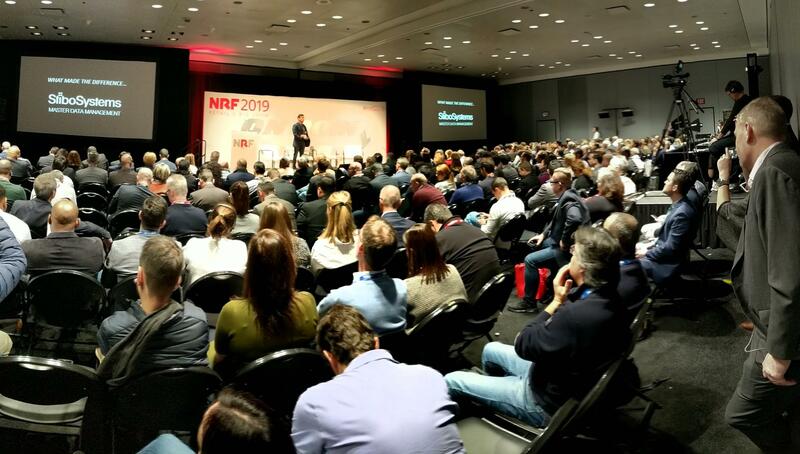 And that was reflected at NRF where several retailers shared how they’re betting big on the in-store experience, for example by using new technologies such as artificial intelligence (AI), virtual reality (VR) and augmented reality (AR) technologies (although very few are successfully brought fully to life). Some are also experimenting with self-service to make in-store shopping more convenient. Many more are working hard to connect the digital and physical customer experience, using the digital space to augment the physical store experience – the destination, as well as to offer consumers a consistent brand experience no matter how and where they choose to interact with the brand. Even though digital transformation hype was at its peak years ago, it was still a highly relevant and revisited topic during this year’s NRF. Many retailers shared success stories about transforming their IT and operational structures to maximize efficiency, to better respond to opportunities and to stay competitive. Retailers keep looking for ways to optimize processes and supply chains, to enable the popular “work smarter, not harder” philosophy. Automation and AI are two primary enablers. An NRF/IBM study, "The coming AI revolution in retail and consumer products", released during NRF 2019 found that 2 in 5 retailers are already using intelligent automation and that the number is expected to double by 2021. Are you ready to transform your retail business? To recap, NRF 2019 showed me that this year is not going to be easy for retail. But it is possible to avoid being disrupted by the competition. It requires retailers to continually transform their business and their customer experiences – using trusted and mastered data as the foundation. Are you ready to transform your retail business? Go get our retail brochure to learn more about how master data management can improve your customer experience and business outcomes. 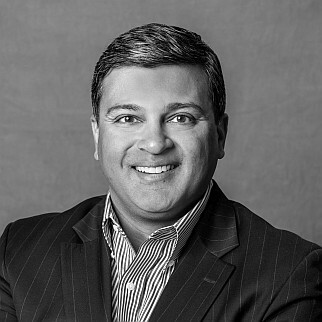 Prashant Bhatia is chief product and marketing officer for Stibo Systems, the global leader in business-first master data management (MDM)™ solutions. He has served in marketing and leadership roles for more than 20 years at leading vendors such as SAP, JDA Software and Manhattan Associates. Prashant Bhatia ist Chief Product and Marketing Officer bei Stibo Systems, dem weltweit führenden Anbieter für Business-first Master Data Management (MDM). Seit mehr als zwanzig Jahren ist er im Marketing und Management tätig bei führenden Anbietern wie SAP, JDA Software und Manhattan Associates.